5.0 out of 5 starsHorror stories guaranteed to scare the living daylights out of the reader! 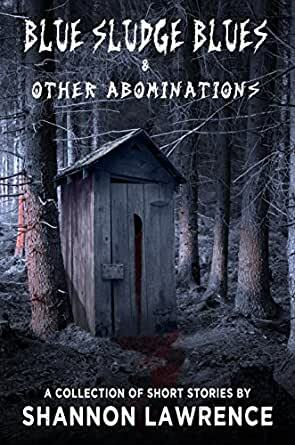 A wonderful collection of horror stories guaranteed to scare the living daylights out of the reader. Some are gruesome, vivid tales filled with 'in-your-face' blood and gore; others are spine-chilling and creepy. Shifting sands - death by sand? Cravings - a pregnant wife with 'strange and horrific carnivorous tendencies'? Faceless - automatons aboard a flight to who-knows-where? I also enjoyed the story notes at the end of the book which explains the inspiration behind each story. Well crafted stories are the best to read. 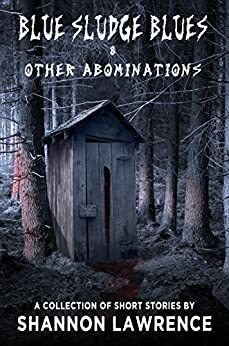 Reading through this collection reminded me of other great horror authors I’ve read over the years; Stephen King, Lovecraft, and many others come to mind. This collection’s stories are equally entertaining and terrifying. Dibs on the film rights for ‘In the Dark’. 5.0 out of 5 starsLawrence is one of the hardest working women in horror. Full disclosure: Shannon is a friend. I picked up her book at a local signing. Shannon is one of the hardest-working women in horror. This is a collection of previously published stories. They're by turns grim, bloody and painful. And they're full of local color. I thought the rest stops along the interstate were closed because of fleas. Here we learn it was actually because of the thing that haunts the lake outside the mines of Moria. We had a wildfire here five years ago that crept into the edges of town; Shannon ruminates on that terrifying event, bringing to life a particular flavor of rage. These stories are thoughtful, well-executed, and certainly wroth the time of any fan of the genre. Wow! Move over Stephen King and Dean Koontz... there's a new kid in town, and she knows how to scare the crap out of readers! The writing is excellent in these short stories, but the eerily skillful way this author touches on our deepest fears is downright uncanny. Think she's an alien...? Nah, just a super good writer. It would be difficult to pick a favorite out of these tales, but if I had to, I guess it'd be the title story. I was never a huge fan out outhouses, but I will NEVER look at them the same again. Trust me, neither will you. Fantastic book. If you enjoy horror stories, you will LOVE this book. Five stars all the way.